McLaren Greater Lansing-DeWitt Health Center (Dewitt) - Book Appointment Online! 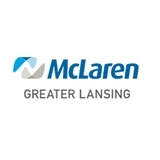 McLaren Greater Lansing-DeWitt Women's Health is comprised of four experienced and compassionate physicians that offer obstetric and gynecological care for women of all ages. Our physicians combine traditional care with the latest advancements in technology to deliver the best care possible to our patients. I didn't realize how much I needed a specialist for my menopausal issues. She seemed to be on top of the latest practices and familiar with past practices that didn't work. I'm so glad I went. Love Dr. Shah! He always makes a point to ask about family and addresses any concerns I may have!